The following interview with Bancor’s founders, Guy Benartzi and Eyal Hertzog, took place before Bitcoin Wednesday’s Special Event on 12 April 2017 at Makerversity in Amsterdam. Interviewer: Hi. we’re sitting here with the co-founders of the Bancor Protocol. So can you tell us something about you, where are you from and what you are what are you doing with this project? Hertzog: My name is Eyal Hertzog and I’m from Israel. I’ve been an entrepreneur in the last 20 years. I’ve been working on end-user/consumer internet applications, social networks, video sharing. I am the founder of Metacafè, and now I’ve been involved in cryptocurrencies, bitcoin and blockchain since 2011. Benartzi: Hi, my name is Gary Benatzi. I’ve been also an entrepreneur for about a decade. I actually come from video games, I used to build a lot of video games for early smartphones. I also got into bitcoin in 2011, and ever since discovering the blockchain basically didn’t want to work on any other project. The last year we been working on Bancor and trying to really solve both the technical and the user-experience challenges that go with making cryptocurrencies accessible to everyone, so kind of everyday people can use them and not just experts. The way it started out being something that was really only a project for experts. We really enjoyed working on this new protocol. Interviewer: So what does Bancor offer? What does it allow people to do and which problems are you trying to solve for people by creating this protocol? Hertzog: I think there are two things that are, I would say, the focus of what we are trying to solve. The first thing it’s to really make it simpler for anyone to create a cryptocurrency. It can be done, but it’s not a simple process and you need to know what you are doing. So building a system that would allow you to really easily, with guidance, to do whatever you need to do in order to create your own cryptocurrency and even initiate a crowd sale do stuff with that currency. So simplification is really the key in what we’re doing. The second thing is, I would say, more economical and it is what makes all of this possible, which is a solution to what we call the liquidity problem. The liquidity problem is what happens when there are currencies that are too small scale in order to be traded in exchanges and to have like their own price and to be sold, so that their holders would be able to convert them to other currencies as they can do for a dollars, euros, ethers, bitcoins etc. All those currencies are traded in the changes, actually by being traded ad by being convertible with each other they form an economical network. Smaller currencies actually — they don’t generate enough trading activity in order to be part of the global network, and we have been working on a solution that is possible only through a smart contract which is something that is available in blockchains like Ethereum which enables creating what we call a smart token. A smart token is a form of currency which handles its own liquidity and price discovery so trought this smart contract anyone that wishes to buy the currency can do that, and anyone that wish to liquidate the currency can do that through the smart contract, so it doesn’t need to go through an exchange and its process. We do that by employing a different method of price discovery and liquidity providing, through what we call reserve holdings, which means that the tokens themselves, within the smart contract, are holding balances in other tokens. So a token holding a reserve in Ether, for example, can be bought for ether, or sold for ether, by anyone that holds it and there’s no need to use an exchange and I think that’s a big innovation that we bring forward, that really allows the creation of so many small-scale currencies, what we like to call the long-tail of currencies – that you can create local currencies or loyalty programs or even crisis that are created just to empower specific crowdfunded Project to kind of sell the process of this project so there’s a lot of examples of how currencies can be used and using the Bancor protocol and smart tokens, currencies can always have liquidity and have their price set by the demand in the marketplace: that’s the big innovation that we bring forward. Interviewer. So is your protocol aimed at making the circulation of money easier, or does it also have other kinds of implications and uses? Benartzi: Initially the idea was to democratise credit creation, so to let millions of communities create their own currencies without needing to cross that kind of high threshold that a currency normally need to cross in order to be viable because, you know, you want to be able to use something locally but trade it and then use it globally, and I think that one of the things that surprised is that we realise that smart tokens actually have a number of different interesting use cases. So the first is really like Eyal said to unlock this long tail of user-generated currencies but another curious case is that you can actually create an ETF because if a currency can hold multiple currencies in its reserve then rather than just using that as a new mechanism for liquidity you can actually create a decentralised ETF, and ETF are really just baskets of tokens…so you know think about like index funds…and this is really the first use case of an index fund or a basket of currencies that you can hold directly, meaning you don’t need a bank to create an ETF and then to hold it for you, and so we think that people are going to create all kinds of really cool ETFs using the Bancor protocol. At first it will be you know like different types of alt-coin ETFs right? So somebody can have an ETF with many different currencies that are let’s say focused on data or focused on new consumer Internet products, but I think that very quickly it gets even more exciting because there’s this trend that is picking up steam which is called asset-tokenization and this is when you start taking real world assets and putting them on the blockchain so imagine that you have you know gold on the blockchain, right? So there is a token of gold that represents a real piece of gold that fits safely in the hands of some trusted intermediaries so we see banks, we see different large institutional organisations beginning the process of tokenizing real world assets from national currencies like dollars and euros, that can now be represented on the blockchain, to things like commodities and even things like oil – and so the ability to kind of stitch those together and create different currency baskets or even combinations of of these new cryptocurrencies in this real world asset, I think it’s going to be really interesting to see what people come up with it. Interviewer: It seems that this process will arrive in like any area or human life…it’s possible that governments get be upset with it. Can the government stop this momentum? Hertzog: A lot of people were worried about government being upset with Bitcoin. And I think that we were all maybe surprised to see how govern embraced bitcoin and set the legal environment in which people can use bitcoin and it seems like no one is trying to actively stop a cryptocurrencies and maybe part of the reason it is that it is very very hard, and it is very very hard because there’s no center, it is decentralised technology; if there was a service or a server that you can come and shut down then it would be easy to stop that kind of technologies. But if you think about Bitcoin and ethereum are protocols, which means they are a language of computers, messages computers send to each other and those messages from a database which is shared among all the computers that speak that language if you will, that thought in this particular protocol. So it would be like saying: can you stop people from speaking English? It is very hard to stop that protocol and I think it’s good that what we see right now is governments embracing it rather than trying to stop it and I think this trend will continue. Benartzi: I think there is also an aspect here where you know there’s two very basic protocol that we human beings use. We have language and then we exchange money, and money allows us to collaborate on large projects that allows us to specialise; without that we would all be just like in subsistence farming trying to survive right so it’s what allow us all to do various different professions. But I think that in the way that information went through this transformation from private networks to the public Internet, money hasn’t yet gone through that transition, money still resides in private banking networks; and I think what we are witnessing with blockchain and through this park that the Bitcoin led is the emergence of the world’s first public databases and this is the first time we can really exchange value between people with no intermediaries, so I think it’s not in the interest of governments, and I think they understand that too, to stand in the way of fundamental basic human innovation and I think those governments that are getting ahead of the curve and taking leadership positions in this are really positioning themselves to become financial innovation centres of the 21st century, in the way that cities like New York in London and other financial international hubs were really the dominant players in the last century. Hertzog: I think this analysis of information and value as the standard protocol between human beings is also important to understand what we are trying to do here because if you look at every currency you can look at it as a network of value-transfer. The network that allows you to transfer value from a member of the network to another using that specific currency. Those networks interconnect to each other through what we call today exchanges. But those connectors are prone to failure, because if there is not enough trade, not enough activity in the exchange than we get in a situation of illiquidity and illiquidity basically means two networks of value that got disconnected from each other and where the network used to be disconnected to each other; but then came the internet and there were internet exchange points that connected all those different networks of TCP IP to one single network which is global and we call it the internet network. and it’s actually a collection of a lot of networks that interconnected between them using exchanges. In the same way we think that each cryptocurrency is a network of value transfer and the ability to connect those network to each other in a better way, in a connection which is always up and running, so the technology that would connect this network would actually create one huge network of value transfer where everyone is free to set its own network and connect to other networks in a global fashion. Interviewer: So it’s value transfer based on consensus between people from a local place or a particular environment, right? Hertzog: I think the consensus is essentially around using the network because all those voluntary network. Because for you to choose to start using bitcoin ether or dash or any currency is a choice you make. that you make based on your values and when you are part of that network and can hold value in that network i think you can transfer and you can accept that currency in exchange for your services so being part of a specific network, a specific currency is something voluntarily people do. The challenge is being able to connect all those networks together, one single giant network, and make that data into value. Interviewer: Forgive me if I go a little backwards, but what do you mean when you say that you guarantee liquidity with your protocol? You talked about the relationship between two currencies. But which rencies are you referring to? Hertzog: When we see that we guarantee liquidity what we mean is that a smart token use the bancor protocol, is essentially… a you can look at it is a hub that can connect multiple currencies to each other and it just can connect itself to the network and multiple currencies to each other. Those smart tokens – the way that they work – is that they hold reserves of other currencies and we use some simple mathematical processes in order to ensure that those reserve will never drain, they will always remain there and what can happen to currency is that the price can go down dramatically. If there is no momentum for a specific currency and everyone just want to convert it to other currencies, that would mean that the price of that currency would decrease dramatically and it would be very cheap to buy but probably no one would want it; and we think the value of the currency should be reflected in the price and not reflected on the fact that it’s illiquid. 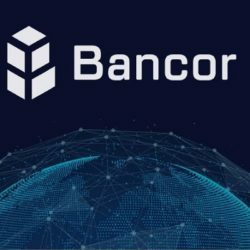 So in the bancor protocol the currencies are always liquid and you can always convert them but you know when a currency has low demand will have a very low price, so it would not really help you that you can convert it if it is known what’s that on one wants that currency. Interviewer: Yeah, for sure. What is an ICO and why is it so interesting? Benartzi: An initial coin offering or an ICO is actually very exciting because it’s a kind of a democratization of fundraising. You know in the last 2 years we’ve seen something in the order of magnitude of 300 million dollars raised by different projects on the Internet using this concept of issuing a currency and kind of crowdfunding with these currencies. I think the first projects that we see are actually open source services because these currencies are really getting a business model for the first time to open source projects. People are building decentralised computers that you can rent processing power and the only way you can pay for the processing power is with this currency that was issued actually to fundraise for the project. It gives people who are early backers of these new protocols and projects a way to kind of benefit from their support of these projects and at the same time it really creates this new asset class that’s not really like a share or not really like debt but provides kind of liquidity in a way that we are not used to and at the same time really lowers all the barriers to entry for people who want to participate in crowdfunding projects because whether you putting in $300,000 or whether you’re putting in $3 it’s just as relevant. You don’t have to have that kind of high barrier to entry that’s normally required for people to go in and get lawyers and go over many many pages of the documentation. It’s a much more accessible way for everyone to participate. It’s similar to the way a kickstarter or those kinds of crowdfunding projects work but here you get more than just a product in the end, you really get to participate and have a piece of the protocol itself which is empowering these new projects. Hertzog: I want to give another angle. So you know I’ve been an entrepreneur for 20 years, usually it isn’t just the same way every time, and the way that teams are getting financed in order to build anything is by selling some of the equity to an investor or group of investors, raising money, and working and this is the definition of a start-up; recently we have seen a revolution in that ,in in in terms of crowdfunding, kickstarter, and now even we are starting to see some more evolved models where shares are being sold under a specific relation to the large audiences, but this is very very few cases that you can look – every company that changed the world started just in the same way which is by selling its own equity, its own currency if you want. I think that ICO for the first time in a very long time they are showing a different model that is emerging almost organically, and this model is something between for-profit and non-profit.